Laws that remove people’s rights to make decisions on the basis of cognitive disability need a rethink, writes Dr Anna Arstein-Kerslak from University of Melbourne, in this article first published on Pursuit. Recently the Victorian Civil and Administrative Tribunal (VCAT) ordered a Bendigo woman with schizophrenia to undergo 12 courses of electroconvulsive therapy (ECT) against her will. The woman, known as NJE, has repeatedly refused the treatment, fearing it would cause memory loss. She is now appealing VCAT’s decision in the Supreme Court. ECT machines are categorised as “high risk” by the United States Food and Drug Administration (FDA) and side effects can include memory loss and confusion. It has long been a controversial treatment, but some research indicates high rates of effectiveness for certain mental health conditions. VCAT determined that although NJE can understand the information given to her about ECT, they believe she cannot “use and weigh” that information because of her mental health disability – therefore denying her the right to consent to treatment. The heart of the issue here is whether this woman – with a mental health disability – has an equal right to make treatment decisions as a person without a mental health disability. But why are people with cognitive disability seen as not deserving the same rights to decision-making as others? Gender, race and even physical disability are widely accepted as inappropriate grounds for denying equal rights. However, cognitive disability continues to be perceived as a legitimate basis for denying equal rights – particularly in the area of decision-making. Cognitive disability includes people with intellectual disability, mental health disability, dementia, Alzheimer’s, autism and other impairments that may affect cognition. Some argue that people within this group are less capable of using and weighing information and understanding the consequences of their decisions and so it is legitimate to remove their right to decision-making. However, the decision-making ability of people with cognitive disability varies significantly – as it does in all people. For example, many people with dementia only experience significant decision-making impairment at certain times of the day. Many people with autism, intellectual disability, or mental health disability may experience little, if any, diminished ability to make decisions. But even if all people with a cognitive disability experienced decision-making difficulty, should their rights to do so be denied on the basis of functional capabilities? The right to decision-making affects the rights to liberty, equality and political participation. It is core to what make us members of our community and our democracy – part of our fundamental rights, granted as an inherent aspect of personhood. These rights are not contingent on a test of functional capability for people without a cognitive disability. If we deny decision-making on an equal basis to people with cognitive disability, we are also denying these other fundamental rights and we are requiring people with cognitive disability to pass a test of functional capability that is not required of others. The United Nations Convention on the Rights of Person with Disabilities (CRPD) has drawn new attention to this issue. It came into force in 2008 and states that people with disabilities have the same right to make decisions as others. This means that when the law removes a person’s right to make decisions, it cannot do so on the basis of disability. In NJE’s case, the convention would require that her preference is adhered to and she not be subjected to forced treatment. The United Nations monitoring body for the CRPD, the Committee on the Rights of Persons with Disabilities, has repeatedly found that current laws – including Australian laws – are not doing enough to protect the right to decision-making for people with cognitive disability. For Australia to comply with the convention, there needs to be a re-examination of mental health law, guardianship law, and other areas of the law that deny people with disabilities decision-making rights. Mental health law, for example, permits psychiatrists and other mental health professionals to make decisions on behalf of people with mental health disability and to disregard the individual’s will and preferences. Guardianship law creates a formal legal procedure for removing decision-making rights from a person with cognitive disability. This may include the right to choose where to live, what medical treatment to receive, how to spend money, and who to spend time with, among other things. The right to vote and the right to marry are also often denied when a person is under guardianship. The impact of such laws is that people with cognitive disability are denied equal rights to decision-making, in violation of international human rights law. More importantly, it is profoundly disempowering to be restricted from making decisions in your own life, from being free to develop on your own terms, and from being recognised as a decision-maker on an equal basis with others. Instead, laws that protect the right to decision-making for people with cognitive disability are needed. Such laws could prohibit the denial of decision-making where it explicitly or in-effect discriminates against people with cognitive disability. There is also a need for law, policy, and practice that provides better access to support for decision-making. One way to do this would be by establishing formal support for decision-making in areas such as the criminal justice system. 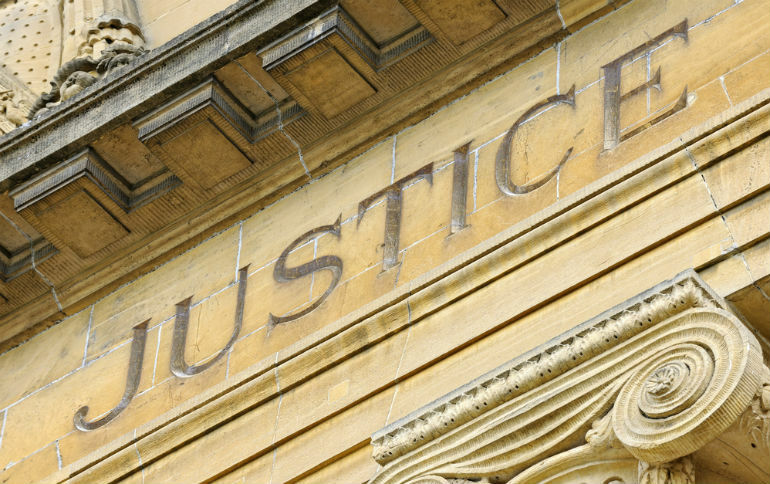 Research conducted as part of the Unfitness to Plead project at the Melbourne Social Equity Institute, has demonstrated the effectiveness of assistants in community legal centres who provide support for people with cognitive disability accused of a crime. The findings suggest there is significant need for such support and that it can lead to greater participation in decision-making for this group. The law could also establish a formal recognition of decision-making supporters. Similar laws exist in Canada and Ireland and several other jurisdictions are currently working towards such laws. This would enable people with cognitive disability to choose someone to formally assist in legal decision-making. The aim is to protect the right to decision-making for people with cognitive disability and also provide the support that may be required for exercising that right. Human rights law creates a strong imperative to reform laws to ensure that people with disability have an equal right to make decisions. However, what should also inspire us to create change in this area is the desire to have a fair and equal society in which people with disability enjoy the same rights, freedoms, and responsibilities as those without disability. 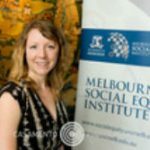 About the author: Dr Anna Arstein-Kerslake is co-ordinator, Disability Research Initiative, Melbourne Law School, University of Melbourne. She is also a chief investigator on the Unfitness to Plead project. Her new book Restoring Voice to People with Cognitive Disabilities, will be launched at Melbourne Law School on Tuesday. The book explores the right to decision-making – the importance of the right, the ways in which it is being denied to people with cognitive disability, and the legal and practical solutions to ensure that people with cognitive disability enjoy the same right to decision-making as others. Dr Anna Arstein-Kerslake is the Convenor of the Disability Research Initiative, University of Melbourne.